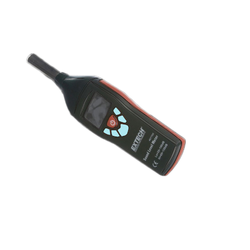 Prominent & Leading Manufacturer from Mumbai, we offer sound level meter. Sound Level Meter is used to measure and monitor the sound level in all types of industrial environments. Used for compressed air exhaust noise measurement it can identify areas where costly and inefficient blow off can be replaced by energy efficient Nex Flow™ blow off products. In many instances, noise may be reduced by amplification products as much as 10 dBA, to protect workers from excessive and damaging noise levels and reduce energy use. A Nex Flow™ Sound Level Meter can monitor the noise levels in a manufacturing operation. Two versions are available.